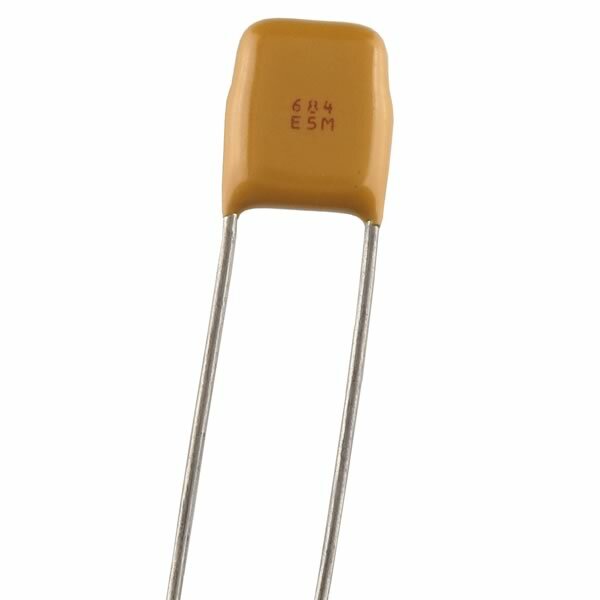 Compact high capacitance mono cap is rated 0.68uF @ 50V. Size 0.24" wide x 0.28" tall x 0.12" thick. Has full length leads. Sold in a package of 10.